1.Beat butter and both sugar until soft and fluffy. Add in flour mix (A) become dough. Wrap and put chiller for ½ hour. 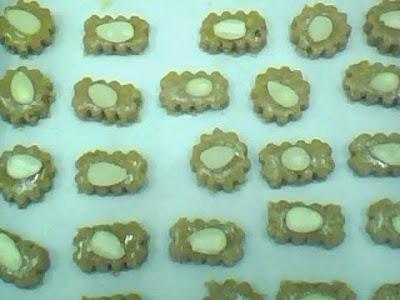 2.Roll out dough, use a flower round cutter to cut out the cookies size. 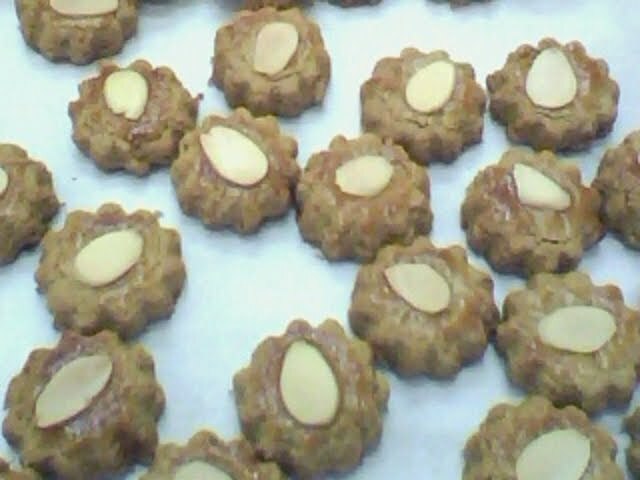 Arrange on the baking tray. Brush with egg yolk, then place a piece of flake almond on top. 3. Bake at 160 degree for 15-20 minutes.